The ideal two-stage protection for your motorbike or scooter. 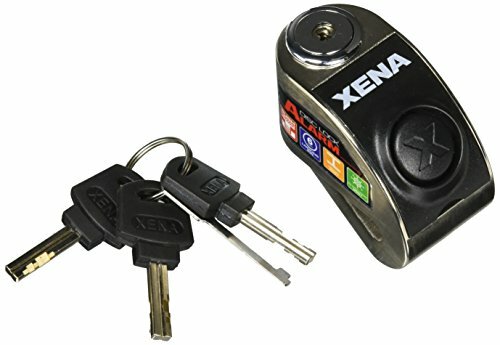 Lock: Fits most scooters and small motorbikes with a high-grade 6mm steel pushdown locking pin and freeze-spray resistant and pick-resistant key and barrel. Alarm: Shock and motion sensors trigger a 120dB alarm powered by a single CR2 long-life Lithium battery. No tools required. Self-arming, with no on-off switch, re-sets to armed mode within 15 seconds.